Home Sheducation Centre Who Else Wants to Have an Endurance Structure with a Guarantee? For many years, our company has provided top quality garages and other storage spaces to all of WA and beyond. In this endeavour, we only use the best materials and features so that you can get the best product possible. It is because of this belief in our products and our commitment to customer service that we offer prime guarantees to protect your storage sheds for many years to come. We know that people need sheds for a variety of reasons and our vision starts there. The different purposes for sheds can be as diverse as every home in Perth and so we want to make sure that you can get exactly what you need for your home or business. At some point, you may need extra storage space for your belongings that won’t fit in your house anymore; you may also want to have your own workshop or a place to house large machinery. In addition, if you have a farm and you’re rearing animals, then stables and farm sheds can be essential add-ons to your abode. Whatever the situation may be, you need a shed that is strong and can withstand harsh weather conditions. To be able to meet these requirements, we use nothing less than the most durable materials. When it comes to our line of Endurance structures, we only use the strongest steel that meets all required standards and the highest in the country. This ensures that any of our storage and machinery sheds can withstand anything, even harsh external forces and weather conditions that strike WA. Since you need your shed to reliably stand and be able to serve its purpose, strong material is necessary for it to last for many years. Because of the faith that we have in our sheds and the materials that they are made of, we offer a great warranty to cover almost anything that could happen to it. Although the building is as strong as we can make it, we know that sometimes, unforeseen events can cause inevitable damages. Should anything catastrophic happens, we provide you with a warranty. For the structure of the shed, we offer a 10-year warranty that covers almost any type of damage dealt by the main body of the unit. So, if there will be any defects on our products, we’ll surely take care of it. In addition, the BlueScope Steel Material Warranty secure all Zincalume and Colorbond products. This is also good for 10 years and guarantees that the product and its parts will be protected during the given time. If a 10-year structural warranty already sounds good, then you have luck on your side because aside from the said feature, we also offer cladding warranty, which provides protection to your unit for 15 years. Cladding is important in preserving your shed, so you want to make sure that it is safe for a long time. Thankfully, we put the same pride in it as we do in our steel, thus it is guaranteed to last you for several years. However, the circumstances of life sometimes make for random problems and should these occur, it’s good to know that your supplier has it covered. A warranty is important for your shed or workshop because unforeseen weather and various conditions can cause damage to it. You invest in a structure with the hope of getting the best return on investment and it’s good to know that if anything should happen to your shed, it can be quickly repaired or a new one built in its place. That way, if you’re using your shed for storage, everything in it will remain safe and secure and if you’re using it as a workshop, you can get right back to your projects as soon as possible. 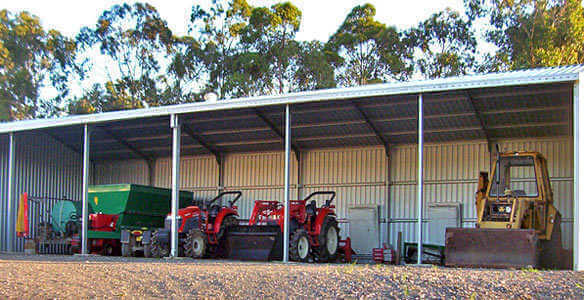 We, at Action Sheds Australia, believe in powerful products and excellent service and use only the best materials when building the perfect sheds. Because of this, we offer a number of warranties that will protect these structures, so that you can keep storing and working even when the unforeseen happens. To learn more about how our units and garages can fit your Perth home, call 1300 778 628.